The cookbook author and model extended her pie day a little past March 14. We all know what happens when life gives you lemons. But when life gave Chrissy Teigen 200 limes, she did the deliciously unexpected: she made pies — and lots of them! The journey began on Saturday, when the model-turned cookbook author ordered Key limes from the food delivery service Postmates. She thought she had ordered just a handful, but five limes turned out to be five bags of the sour fruit. Teigen isn't alone in getting more than she bargained for when ordering remotely. Remember the 15,000 eggs the Norwegian Olympic chefs accidentally ordered for their team ahead of the Winter Olympics? So what were the five original limes for? We may never know. This was a very different experience than Teigen's last public attempt at ordering fruit. Last year, all she wanted was a bunch of brown bananas to make banana bread, and ended up crowdsourcing the request. There was a Key lime with vanilla custard and a piña colada Key lime pie with pineapple and coconut, and one whose name shall not be mentioned. We love that she also appears to have handmade the graham cracker crust (a must) and the bonus photo of little Luna, who's nearly 2-years-old. 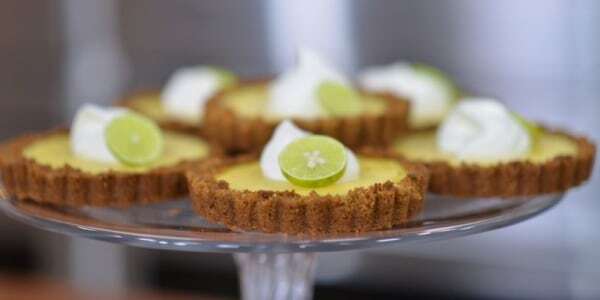 Even if Teigen doesn't like limes, all of her pies look totally amazing. That said, given that it takes around 20 limes to create the 2/3 cup of juice most Key lime pie recipes call for, there are probably still dozens of limes still rolling around her house. Looks like Teigen may be in the kitchen a little bit longer.